A newly-wed couple from the city of Mianeh in Iran’s East Azarbaijan province has donated their wedding expenses to flood-stricken people. The young couple went to the Iranian Red Crescent Society’s Office in their city and donated their wedding money (over 350 USD) to their fellow countrymen. 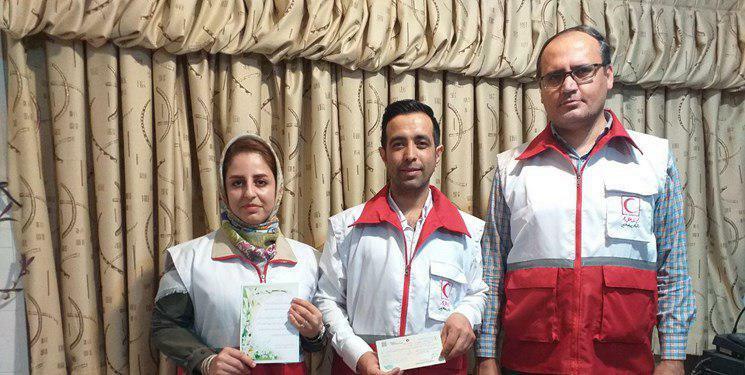 In addition, the couple asked their relatives to send their wedding gifts to the Red Crescent and send them a receipt to be kept in their wedding album. The Red Crescent Society gave the couple an honorary membership following their valuable humanitarian act. Continuous floods that started on March 19 have so far claimed 76 lives, destroyed infrastructures and displaced thousands of people across Iran. Dozens of villages and towns have been evacuated in southern Iran which is home to a number of rivers and dams.